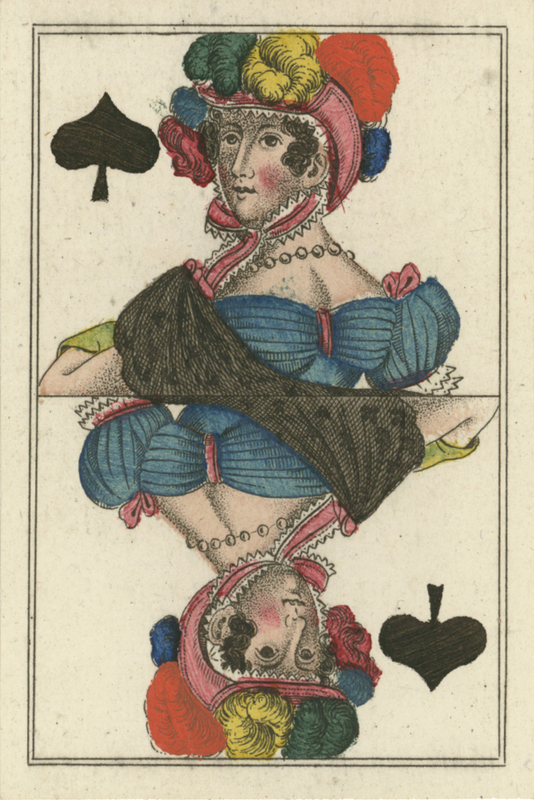 This very attractive engraved pack, albeit of a relatively simple design but with a great deal of intricate detail in the clothing and accoutrements, was made in Germany by an unknown maker c.1820-30 (possibly Bacher of Ulm). 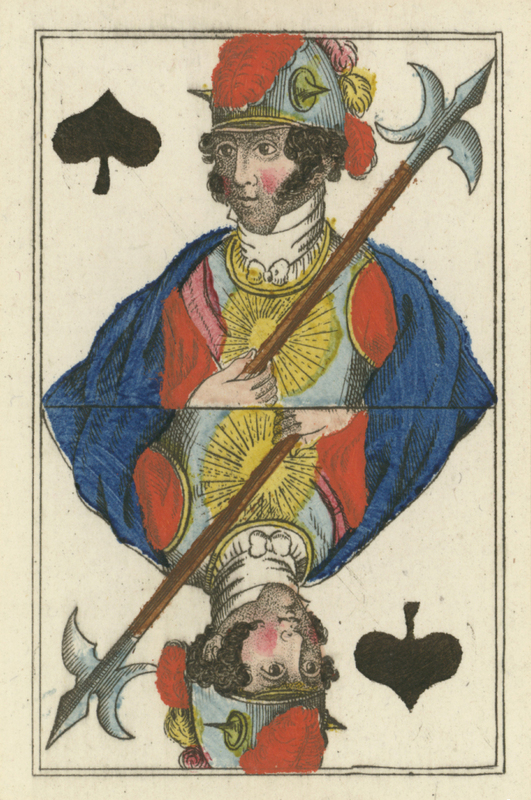 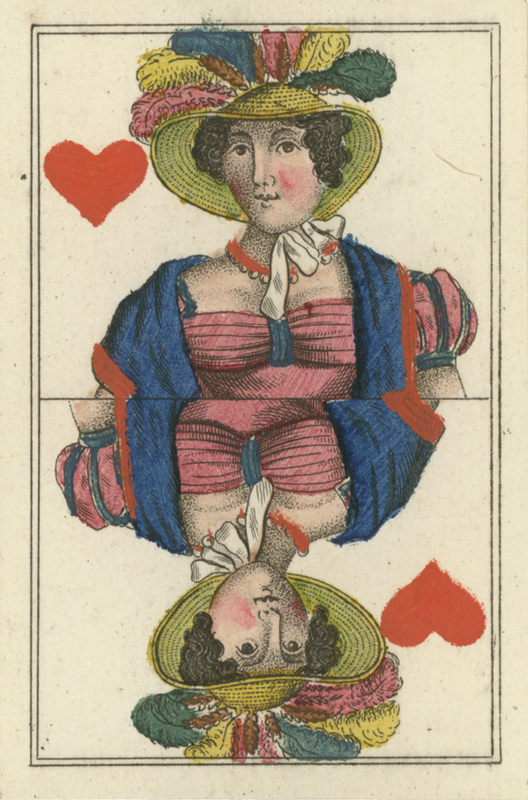 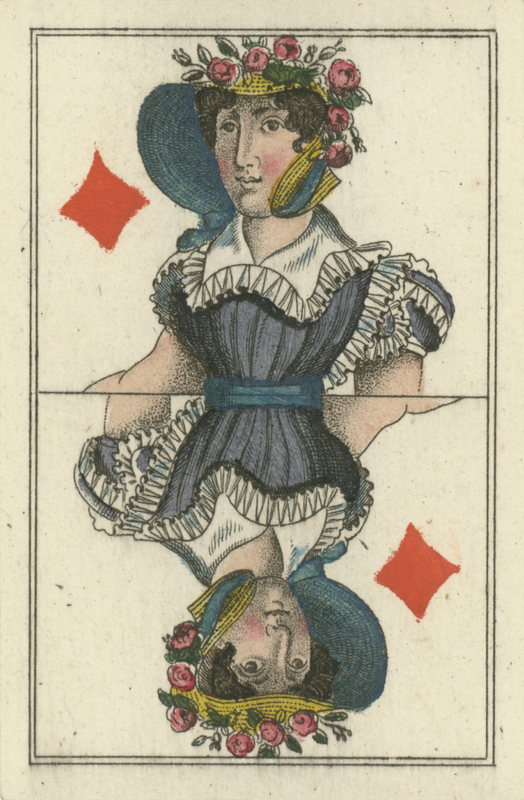 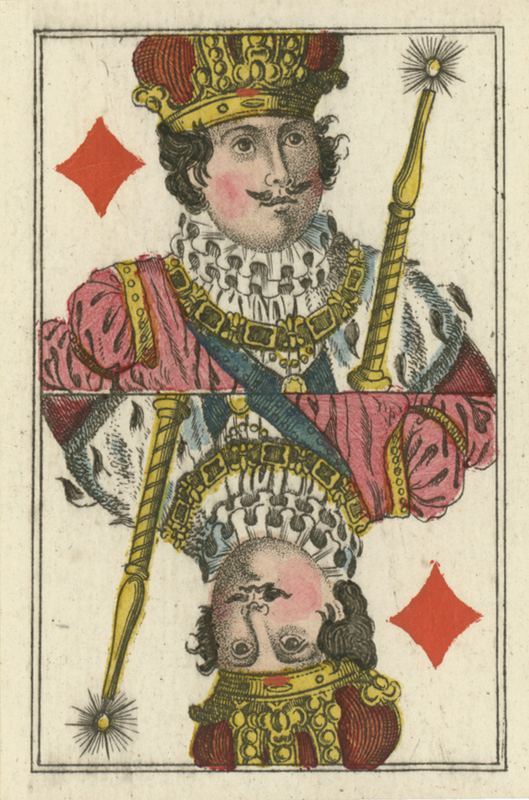 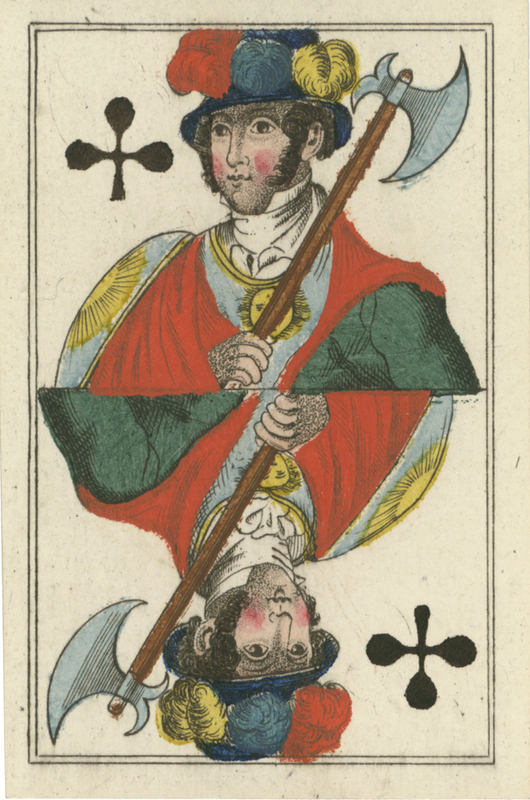 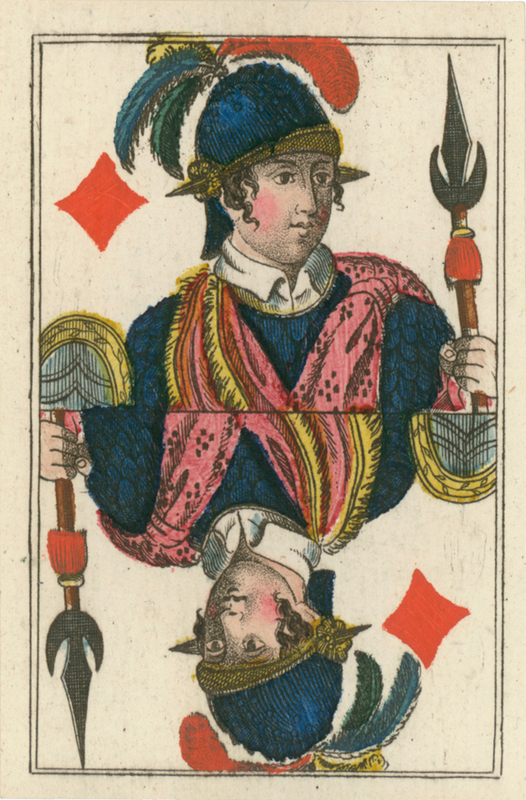 It is a fine example of the early cardmaker’s art and is hand-coloured using stencils with about 5 or 6 different colours. 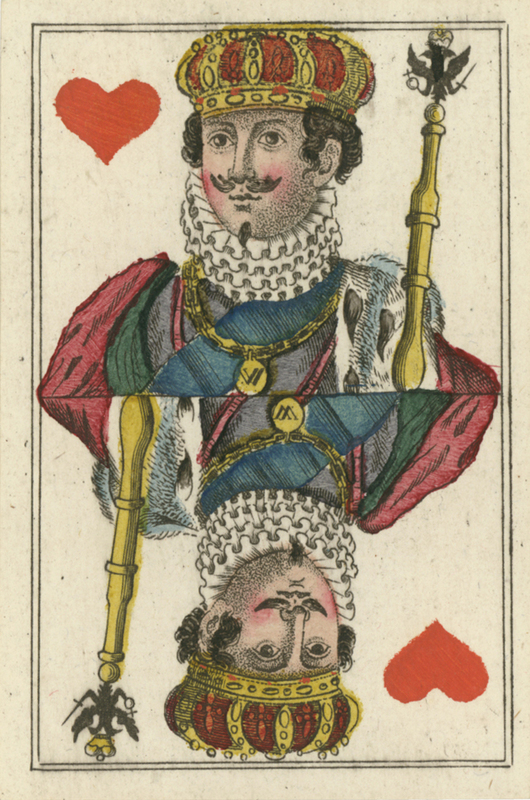 The double-ended courts are divided by a horizontal line and a double line serves as a border around each card. 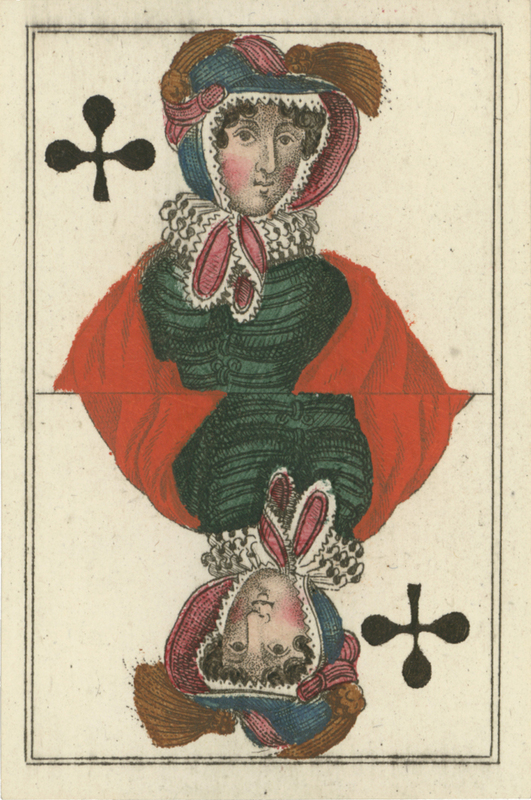 The ladies’ attire illustrates fashion from that period but they do not hold flowers or fans as is often the case. 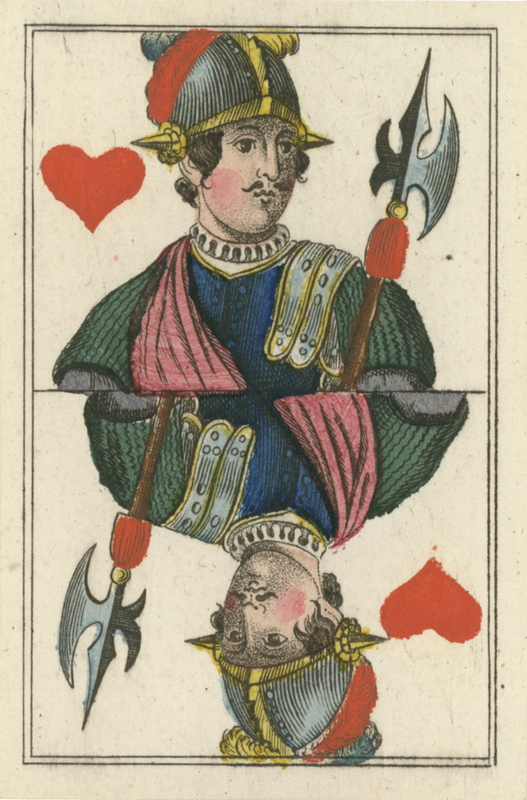 The aces are plain. 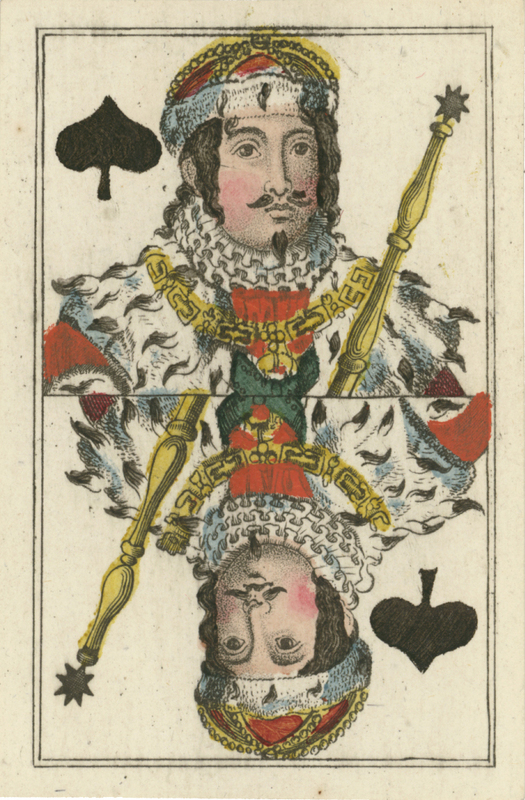 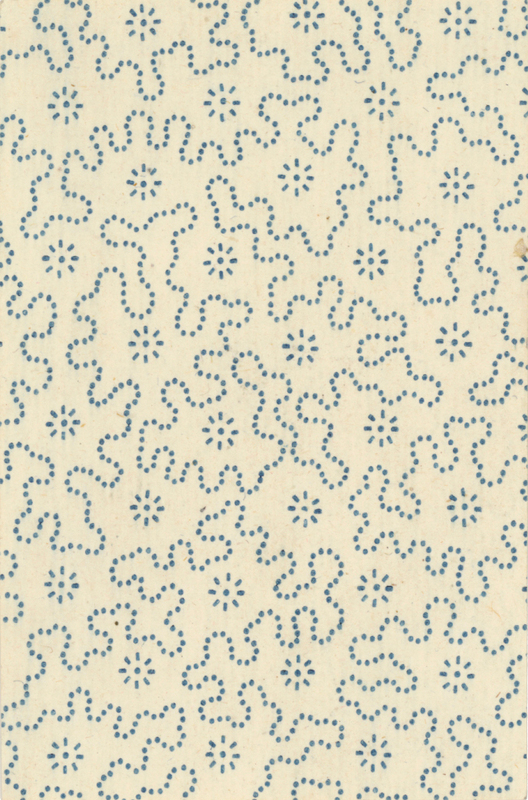 Above: from the collection of Klaus-Jürgen Schultz.